Cold opened with a rendition of the star spangled banner all over the country. Jon Stewart made an appearance and then the show began. Colbert has a beautiful new studio. And then the old STEPHEN chants broke out. Stephen joked, he said that he can do this if he gets 9 months to make an hour of TV. He also said that he is looking for his real self as long as he doesn’t find him on Ashley Madison. He joked that he feels like the third broke girl. Colbert introduced the Mentalist lever, similar to Conan O’Briens chuck Norris lever. Stephens renovation on his theatre is great. He gave us a tour of the new studio. However, things quickly took a turn from good, to bad. Colbert’s set looked like the set from The Daily Show but with more money. His desk was beautiful, but it looks like a desk you would find on a political talk show, not a late night show. Then the band….Stay Human made me feel like we were going back in time. I felt like the music made the show feel cheap. Like CBS couldn’t afford to license good music, so we are going to go with cheap cheesy elevator music that they got for free. I found myself doing a lot with Stephen ColColbert’s showow that I did when I would watch Conan O’Brien on The Tonight Show in 2009…wishing the show was over after the monologue. The difference with the Leno/O’Brien transition over at NBC and the Colbert/Letterman transition is simple: Leno was forced out and then given a show in front of The Tonight Show where Letterman was ready to leave and he retired from The Late Show. Stephen will be given the time it needs to get this show off the ground. 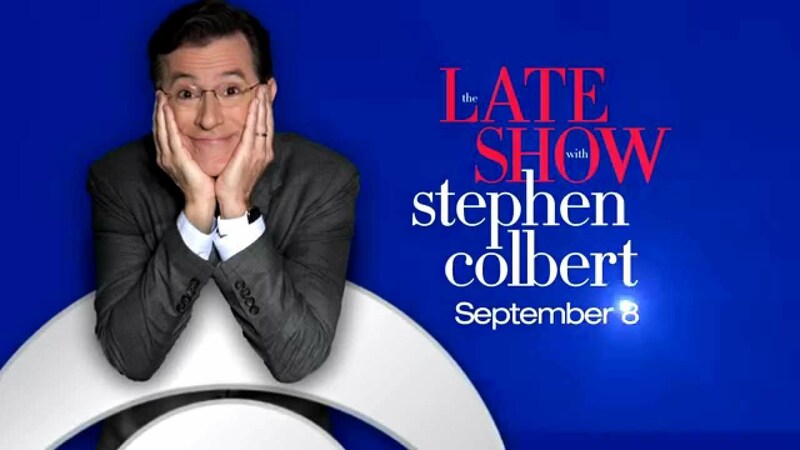 I hope we see The Late Show with Stephen Colbert find it’s soul. Colbert had been clear from day one that the show would be different and that the character from the old show wasn’t going to be on the new show, but I miss that guy. Colbert is entering network late night at it’s best. When Johnny Carson was around, it wasn’t until 1982 when Letterman debuted that there was ever any talk of Carson leaving The Tonight Show. Carson had no competition, making NBC”S late night department half a billion dollars. Colbert is up against this generation Johnny Carson in Jimmy Fallon. Not only that, but Seth Meyers is great, and James Cordon who follows Colbert is extremely talented. Cordon has changed the format of late night much like Letterman did back in the 80s. Colbert needs to find a way to QUICKLY find himself as a host of network late night, or we might not see a long reign at The Late Show with Stephen Colbert.